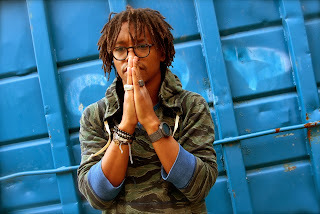 Lupe Fiasco - "Pound of Flesh/Paris Tokyo 2"
In lieu of Drake's album release yesterday, Lupe Fiasco hopped on the beat of Drizzy and Jay-Z's song "Pound Cake/Paris Motion Music 2" from that album with a version he calls "Pound of Flesh/Paris Tokyo 2.". I wasn't sure what to expect because, well I'm not too sure what is going on with Lupe. Something is missing with most of his music lately, but his version of this left me with more hope that Lupe never lost his touch. This is one of his better versions of another artist's instrumental and hope he can keep it up. Stream and download below.